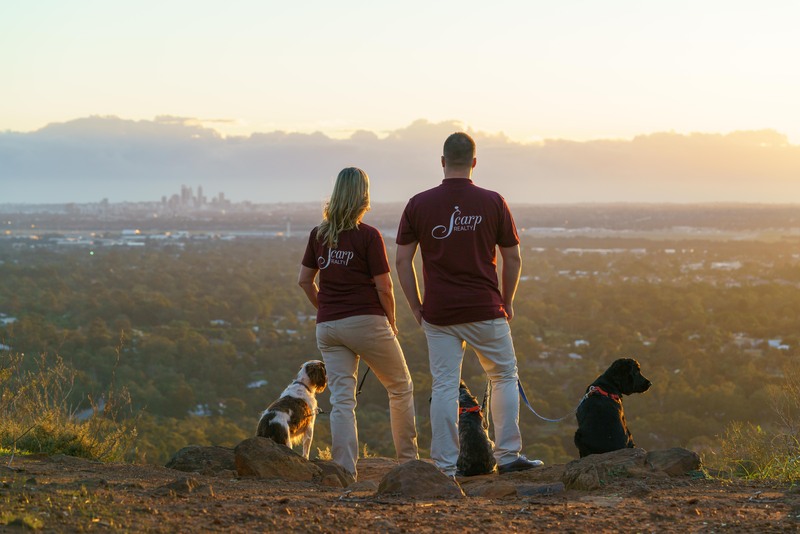 Scarp Realty is owned and operated in Gooseberry Hill – with active and involved local staff– and isn’t part of a national franchise. This means we can tailor personalised solutions that put our clients first and pass on the extensive franchise cost savings to you. We know your local community, from Pickering Brook to Piesse Brook, Carmel to Walliston, Lesmurdie to Kalamunda, Maida vale to Gooseberry Hill and everywhere in between! Our Office is located in the bustling Gooseberry Hill shopping centre and we are always here to help with all your enquiries. With more than 30 years of experience in real estate, sales and business , we have the know-how and expertise to assist with your real estate needs. Because we have a dedicated marketing scheduled and we have the flexibility to meet your property’s unique marketing needs we get more people to see YOUR home . We are actively involved in local promoting around the community. When you choose to work with Scarp Realty, you benefit from all the advantages offered by a thoughtfully networked real estate company, and receive the individual attention and responsibility provided by a privately owned, small local business. We’ll help you choose the best way to sell your home. To successfully sell a home it’s important to have a sound knowledge of the local real estate market. We’ll help you decide on a realistic value for your home, based on actual market activity in your area and we’ll guide you through the preparation for presentation to the market. We’ll work with you to plan the best mix of marketing activity to attract buyers to your home. Signs, Internet, office displays, press or maybe a brochure can all help to sell your home. We’ll help you customise your own marketing plan. You’ll be shown marketing plans from which we’ll help you customise one to suit you and your home. It’s also your choice how to sell your home. We’ll discuss with you the best method that suits you and the property . It’s our job to make the sale of your home a rewarding experience.